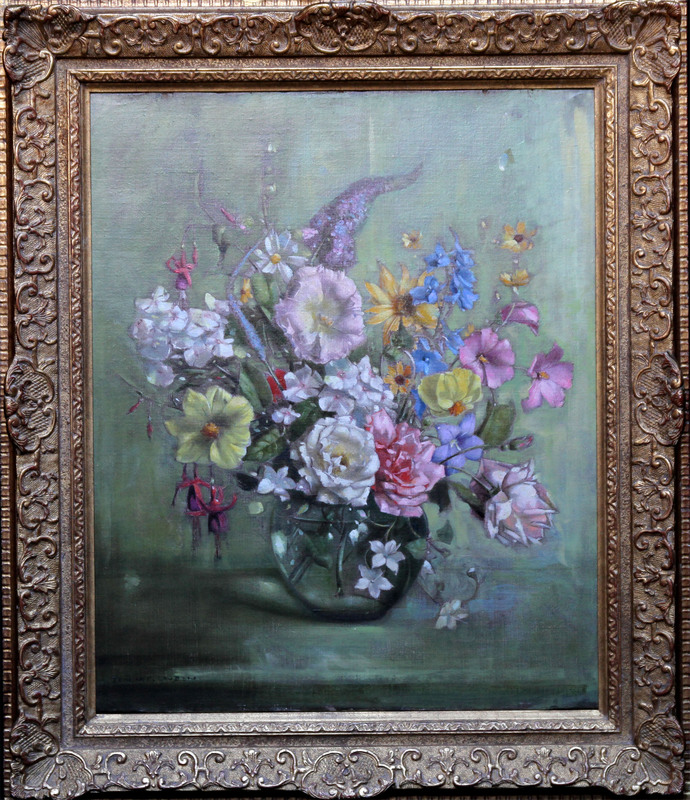 A fine oil on canvas which dates to circa 1936 by noted British floral artist Terence Loudon. It is a finely detailed still life of a floral display which includes roses, fuchsia and phlox by an artist who exhibited at The Royal Academy between 1921-1940. 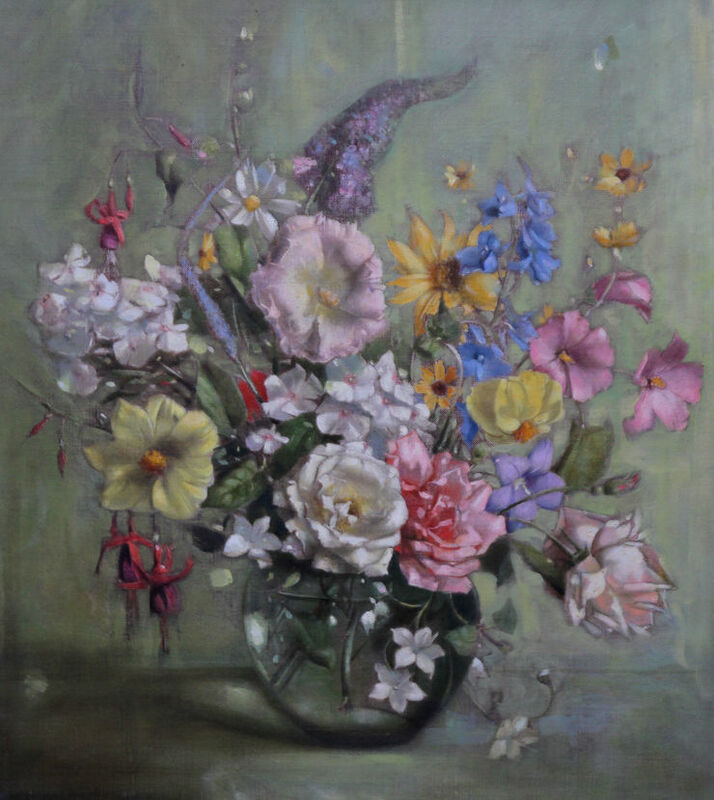 Full of vitality, a very realistic floral in the manner of the Dutch Old Masters which was exhibited at the Fine Art Society. It is a fine period British oil painting.